Client relations are vitally important to us. The nature of our business necessitates that we have open lines of communication with our clients – if we don’t, we can’t provide them with the service for which we are known. For this reason, we sincerely ask that, if you are considering us for a job or a draft beer systems maintenance contract, you please take the time to read these testimonials sent to us by people who rely on our company everyday to keep their restaurants and bars operating at their highest potential. We were recommended 21st Draft Systems from a friend and they promptly came out and gave us a quote for our crazy situation at Meat Up BBQ. They worked with us and designed a custom piece to fit our very unique space. The work was done quickly and they worked within our budget. I have recommended them to at least two friends who have also used them as well. The Pizza Press already sets itself apart from other fast-casual pizza joints with its respectable list of craft beer. My partners and I wanted to further distinguish our Pizza Press locations in Paramount and Orange Village by developing a beer program that could compete with the best from anywhere. Our first order of business was to install a draft system worthy of the tap list we worked so hard to develop. Industry experts we’ve met along the way insisted on 21st Draft Systems. Before our meeting with Jeff at 21st, we met with other vendors just to make sure we did our due diligence. 21st Draft Systems stood apart. What so many owners care about is cost and we were happy to see that Jeff’s quote for our 24-handle pipe-tower system with all the bells and whistles was more affordable than chief competitors. More importantly, we found Jeff and 21st to be more engaging and approachable than others. After hearing about our vision to develop a drool-worthy tap list, Jeff personally contacted reps at several acclaimed breweries and set up meetings on our behalf. He also designated several meetings to educate us on all the technology and workmanship that precede the perfect pour of craft beer. He talked us into and out of products that he found necessary or a waste of money from years of experience. So when it was finally time to install the system, it came as no surprise that both the product and service were impeccable. We couldn’t be happier with our gorgeous system. And we are equally excited about the ongoing relationship we’ve forged with 21st Draft Systems. CHEERS! 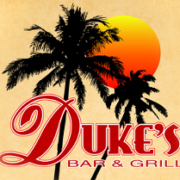 My name is Nick Tafesh I am the owner of Duke’s Bar & Grill Riverside, CA. I chose 21st draft systems to build my beer system. I chose 21st draft systems because the customizations are all done in-house and not another third party 2 suspended beer towers from ceiling 2 cooler mounted beer towers 52 draft lines total. Beer pours amazing. The design team at 21st draft did an amazing job.